Their excellent communications skills and effective project management allowed for a productive and efficient collaborative environment. Despite most of their programmers being located elsewhere, the project lead’s local base and quick responses made the development process go smoothly. My company is Town Money Saver, which is a franchise-based direct mail advertising company. Our primary product is a coupon magazine that goes out to about 160 different communities in the Midwest, as well as a website and a mobile app—the latter of which was built by Sunflower— that complement our print product. Although my title is Creative Director, I am also heavily involved with the marketing of the company, and therefore worked closely on the overall look of the app. We already had a mobile app, but it was dated. Having just completed a rebranding campaign, we wanted to update the app’s look to be more inline with the re-brand, as well as adjust its functionality. I wasn’t with the company at the time, but the original app developer was located in India, and the distance made the process extremely arduous. When we began the process, it was important to find someone with the requisite skill set who was located close by. They started by developing the iOS app and based the Android version off of that build, although both apps were mostly created during an overlapping time period. We were pleased by their initial work on the iOS version and approved the Android one as a result. I believe that they used the native development kits to build both apps. The iOS app did not have a dedicated version for the iPad in addition to the iPhone; they focused more on getting the scaling right. They did a fair amount of work with our website developer, using an API to interface with our online database in order to find our advertisers based on location. The goal of the app was to allow the customer to check to see if Town Money Saver had any coupons or offers near their location, as well as to be able to input other locations to see what might be available elsewhere. It would then provide the customer with in-app details about the advertiser and directions for how to get to any given offer’s location. One feature that was heavily requested by our advertisers was that when customers redeem coupons digitally, the offer then be retired from within the app, to prevent multiple uses of single-use discounts. We had a timeline in mind before we even began work on the apps. Town Money Saver has a big annual meeting to bring all of our franchises together, and the goal was to launch the app in time to be able to demonstrate it at the meeting, which Sunflower made possible. Beyond the occasional brief email with developers, the only person with whom I had consistent contact was Ronak Patel [CEO, Sunflower Lab] himself, so I do not know the exact make-up of the team. We conducted significant online research that involved a variety of websites that rank app developers, although I do not remember which specific ones. (Clutch may have factored into our decision-making, but I cannot quite recall.) Within the higher-ranked dev shops we found, we then looked for one that was relatively local for us. Although a fair amount of Sunflower’s operation is in India, Ronak is located in Columbus [Ohio]. After a conversation with him about our needs and ascertaining that they had a lot of experience with the type of app that we needed, we decided to engage their services. 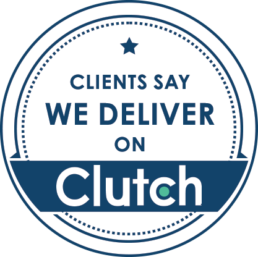 Their location in Columbus was a big factor in our choosing to work with them. How much have you invested with Sunflower Lab? We have spent about $28,000 on the apps. We began working with them around March of 2017 and the apps were launched in November of that year. We do not yet have numbers in terms of app downloads, in part because we have not yet been as aggressive about promoting the apps as we should be. Our goal in the near future is to figure out the most effective way to push for more downloads and figure out how best to take advantage of some app-only features. The biggest reaction we received was at the aforementioned meeting. Everybody loved the new look and the apps’ functionality; they gave us a lot of great feedback about Sunflower’s work. Additionally, a lot of our advertisers are now doing specific things just for the apps, which demonstrates how they have embraced it as a platform for their products. Ronak was a very good point of contact; he came to our office a couple of times to kick off the project, and we had regular conference calls. He was always quick to respond when we needed something, and he was very clear about what he needed from us. Sunflower collaborated smoothly with our website developer, which meant that we did not have to be too hands-on with that. I believe they used Crashlytics to roll out the different builds. Every time there was a new build, we would get an automated email telling us that it was ready for our review. We did a lot of communicating that way, which was very convenient and efficient. It allowed us to send them changes or requests almost as soon as a new build came out, and helped them to provide us with further updates even faster. Their communication in general was extremely impressive; we always felt like we knew the status of the project. I also appreciated the different types of communications tools that they used at any given stage, be it a phone call, an in person meeting, or a video call that allowed us to screen share. Also, despite their developers being located offshore, it felt like we were still working with a local, thanks to Ronak’s direct involvement. I would definitely recommend Sunflower. Not only did they do what we asked of them, they also offered suggestions that we had not even considered, using their experience from past projects to steer us in the right direction. They ended up acting as a de facto consultant as well. We are probably going to continue to use them on projects in the future, either on a maintenance level or to further update our current apps. We were very happy with our collaboration. The combination of being both affordable and local to our area made them a great work partner. The timing of the final touches on the apps prior to their release was a little lacking. It felt like they thought we were done and had then moved onto other projects, or as if our project had been put on a back-burner. It did not interfere with our deadline, but the end product wrap-up period could use some improvement.